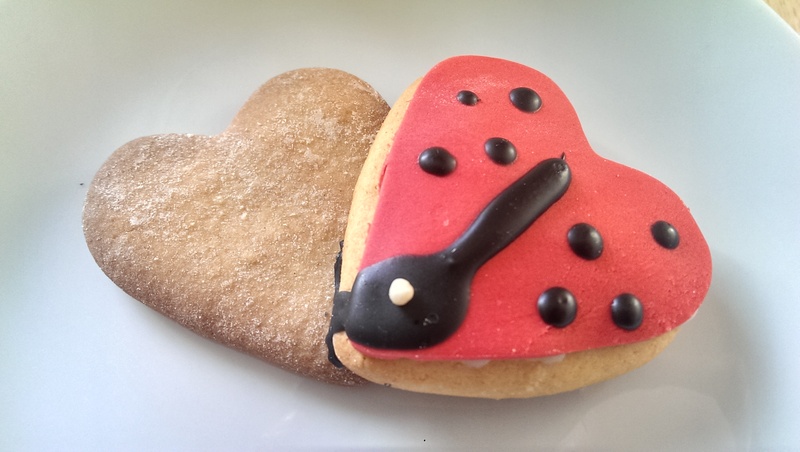 Valentines day may have come and gone but you can still treat the one you love with these lovely and very sweet love bug biscuits. In my last post I shared the valentines day present I made for Hana, these really lovely homemade chocolates. Well today it’s time to show you what Hana made for me. Thursday evening I was cast out of the kitchen and thus the living room too (the joys of flat life) as Hana became a busy bee whipping up a lovely treat for me, I am pretty lucky! The next morning I was very happy to get my edible valentines day present. 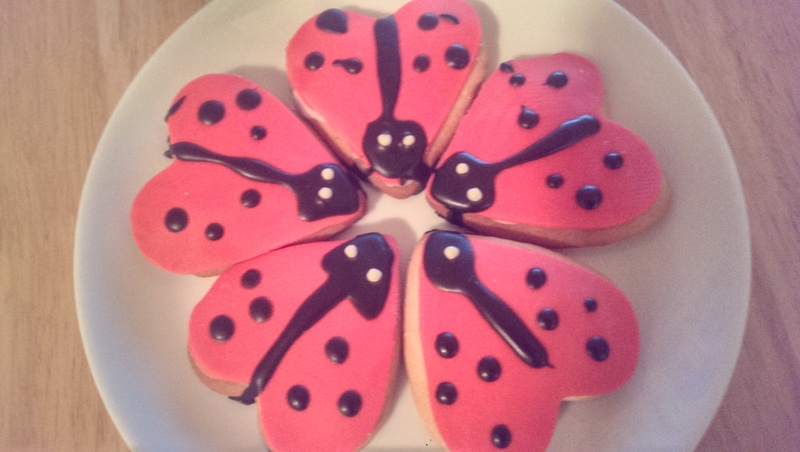 Now you may think it’s a bit soppy, and maybe you’re right, but then so am I. I got a lovely box of homemade biscuits in the shape of a heart and decorated to look like ladybirds (or Lady bugs for my American friends). I think they look really lovely and you can see Hana has put a lot of work into decorating them to look just like a ladybird. Hana used a cookie recipe from our Nigella Lawson cookbook, feast. I have used the recipe before to make biscuits and they always come out really well and taste great but you can use any vanilla cookie recipe. They are also reasonably simple to cook, which is good as it gives you more time to decorate them. 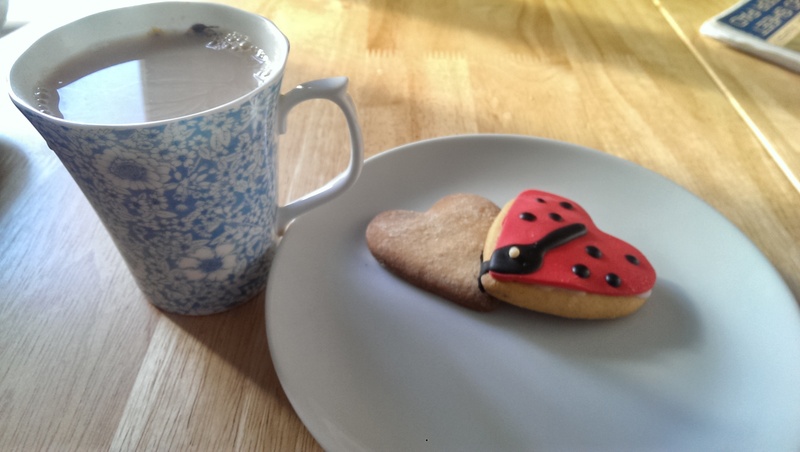 Hana used our heart shaped cutter to shape both the biscuits and the ready roll red icing which she used as the base of the ladybirds. The detail and black and white was piped on after and I think it makes they look so sweet, I almost didn’t want to eat them! Almost. I thought it was really nice that this year we made our Valentines day gifts, that they really came from the heart and we both had to think about it much more made these really special. ← How to make Chocolates: a gift for the one you love. These look great and so simple to make!